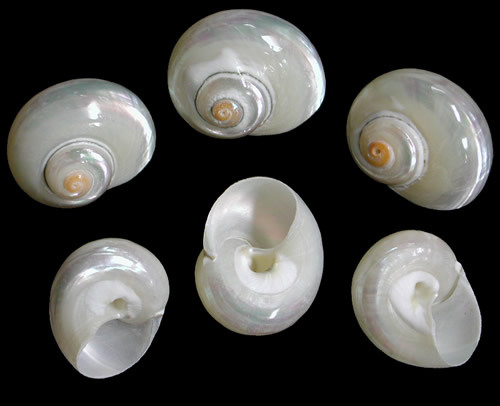 The Pearl Cinerius Shell belongs to the Turbo shell family. This shell has an opening of about 1/2 inch; popular hermit crab shell. It is highly polished.